We are in Week 2 of 2019. And many of us started the new year with formal or informal resolutions. But Entrepreneur estimates that only 9.2% of people stick with their new year’s resolutions. * I’m going to share one you can commit to right now, along with a surefire way to actually accomplish it. You’re about to conduct a coaching activity—on yourself. Do this quietly and without fanfare to avoid any risk of “here we go again” syndrome. Then take a deep breath, let go of your ego, and prepare to listen. Oyster Organizational Development is sharing a valuable secret: How to coach yourself and see improvement before ever engaging consultants like us. We all have a perception of ourselves. I haven’t seen research on this but based on experience I’ll predict that people like you and me are between 50% and 75% accurate in our assessments of ourselves. And leadership ability is typically inverse to how good someone thinks he or she is. (If you think you’re great, sorry… maybe you are an exception…) What we see over and over again is that an accurate assessment of self is the key that unlocks leadership ability. 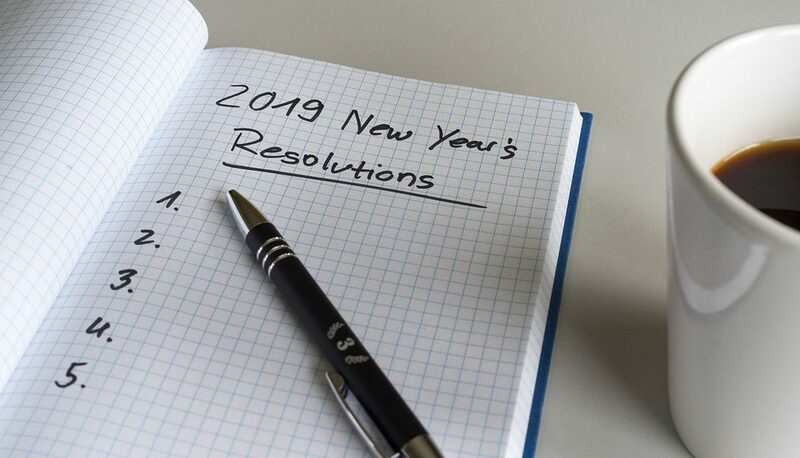 Your resolution, should you accept this assignment, is to get a better assessment of yourself. No, you can’t do it like we can—we go in with the tools and experience to solicit, pull, cajole, and assess feedback from those above, below, and all around you and then we create a plan to develop strengths and limit weaknesses. We move the needle on your success. But you can get a taste of that progress right now. Think of three people who have the guts and thoughtfulness to tell you one thing they think you need to know. Theoretically one could be your spouse or partner if he or she is thoughtful and supportive. (We are all one person, and our strengths and weaknesses tend to manifest themselves at home as well as in the workplace.) The next one could be a colleague. If you have a team working for you, the third can be one of them. You could include the person you work for. But don’t go over three. Olivia, I have a favor to ask. I’m asking you because you see me in action most days and have known me for a while. Will you tell me one thing I do that limits my effectiveness? You are not going to hurt my feelings. In fact, it’s something I’ll appreciate very much. Thanks for saying nothing comes to mind, but I have a sneaking suspicion I’m not perfect. Can you think of one thing I do that bothers someone or limits me somehow? I think I know what you mean. We were in a meeting with Sales last week and I responded that way. Good point. Olivia, I can’t tell you how much I appreciate you sharing this. Thank you. In addition to getting good feedback, Olivia’s view of you as a leader just jumped. You asked for it. She gave it. And you didn’t react negatively. On to the next two people. Same approach. Same commitment to not reacting negatively. Your job is just to listen intently. Manage your body language. One executive I’ve coached wondered why only a few of us would tell him what he needed to know. “You can have a scary face sometimes,” I would say. And he did. But here’s the most important part. All you say at the end, as with Olivia above, is “Thank you.” Don’t try to explain what you meant or why the person is wrong. Don’t get defensive. Just own it and appreciate that someone shared it. At the conclusion of this exercise you will have heartfelt observations on behaviors you weren’t aware of and probably need to address. You may have three or you may just have one if you have a glaring habit that all three homed in on. Also, at the conclusion, you will have begun the creation of a leadership feedback loop that you can foster. Is this activity as good as real coaching? No. But is it something you can do now and make good on a New Year’s resolution to improve your leadership ability? You bet. For a more comprehensive approach, contact Oyster OD for a free consultation on how we can work with you and your leadership team to increase success. *Entrepreneur, Julie Christopher, “Why Most New Year’s Resolutions Fail and What You Should Do Instead,” January 15, 2018.